and As A Group, and Then and Caring for those Most Hurt By Patriarchy First, While Caring For Everyone In a Circle. Need anyone be a billed Debtor or billing Creditor, or mindlessly pass any Mammon Money without transforming it???? (Joined by Truer Counts and Occupy Ragpickers many co-supporting Respected Partnership Leading Monsieur Ragpickers become RaJubAlleeing Gender Partners of Peace including Travelling in Time, Jesus, Sir Thomas More, St. Francis of Assissi, Tom Paine, Rajiv Gandhi, Bernard Leitaer, Lionel Jospin, Paul Glover, Kent Welton, Edward Anthony Salterea, Russell Means, Oscar Arias, Rhodri Morgan, Amory Lovins, Gene Roddenberry and many others, representing All Truer Kinder EmissarYES of the Peace Continuum of All Names, a NESARA that is the True Q NESARA release of Energy of Love and Light that includes but goes far beyond MONEY. days’ docket of debt collection!) & the Treauryes of Every Nation, especially the United States. primarily overprivileged) males , via s, NEW MILLENNIALL GOLDEN RULE of the CoMessiahs, Combining Mariams of Exodus, Nazareth, Magdala, Maid Marion, Morgaine, Mother Jones, the Vulcan T’Pau, the Betazoid Trois, and the True Q with the Power of Mother Nature Heeded. unknown, vastly too numerous to list. Human Family on Earth and its Future Throughout the Universe. been affecting the whole barrio, the Whole Global Village, so to speak. the land begin to disappear from under their white outside but dark in deed buildings. money, wealth, and credit that are at the root of the entire problem endangering earth with nuclear war and/or global warming. Compared to collections agencies and debtors courts, a Higher, more Venusian as well as Marian (originally a godof plenty and agriculture, not war) Venue, since it is utilized and open to discussions to both us females and males of good will in greater equality, is the Internet. Also Higher are the Courts of Great and Inspirational Literature, such as the Court Held by the City of Love and World-Protective Countess Aurelia and her Co-Justices Countess Josephine and Countess Constance in the great play by Jean Giraudoux, the Madwoman of Chaillot, brought to the screen in 1969 with Katherine Hepburn as Aurelia. and uncompassionate, in fact, a rather still immature but still educable (by a younger and other females, as we shall see) representative of the “Q Continuum”, a more advanced and evolved humanity of extreme youthful longevity and truly advanced powers of space-time comprehension, suggested by the writing of Science Fiction author Gene Roddenberry. idealistic and compassionate, and saves humanity from its own errors. equal cooperation and decision-making, as archetypes. Today, the Courts of Women of Corinne Kumar and Ethel Long-Scott have begun to take on the task, but need millionfold empowerment. Quan Yin, the infinite-armed Buddhist female of greatest compassion who is also the archetype forthe Ancient in the Stargate series, another popular Science Fiction with archetypal and anthropological overtones. Including the Redeemed and Understood Past, the Present and Unfolding Future, the Court of the Living Planet and the Heavenly Universe, and the Court of Mother Nature~Father Time. Their “Judgements” are often subtler, and may have a relatively slight time delay, via a ripple, butterfly or Gaia effect, that requirees the interactive and meaningful connection of seemingly disconnected events, for the public that is all humanity, to be able to clearly view the merciful “judgement” as it occurs in the flow of things day to day and moment to moment. The Alleged Debtor-Defendants, Who Are Hereby Choosing Also to be The Prosecutors with Merciful Gifts that Transform All Illusions of Debt and Loan to the Abundant Universal Love Economy of the Truer Q Continuum. “debtor” alive today would likely be due about at least one million dollars more, which she could have shared with those currently billing her and with all the world, if the new and sustainable paradigms that had begun being presented in the 1980’s had been adopted by now. had been fairly creditted and compensated at the levels majority males have been, during their lifetimes, for equally important and valuable work. In most cases, this also impacted the lives of their sisters, mothers, aunts, the majority of the women of the society, and so the collective magnitude of the impact is exponentially multiplied. The failure to face this now is tipping the world toward environmental and social caststrophe. 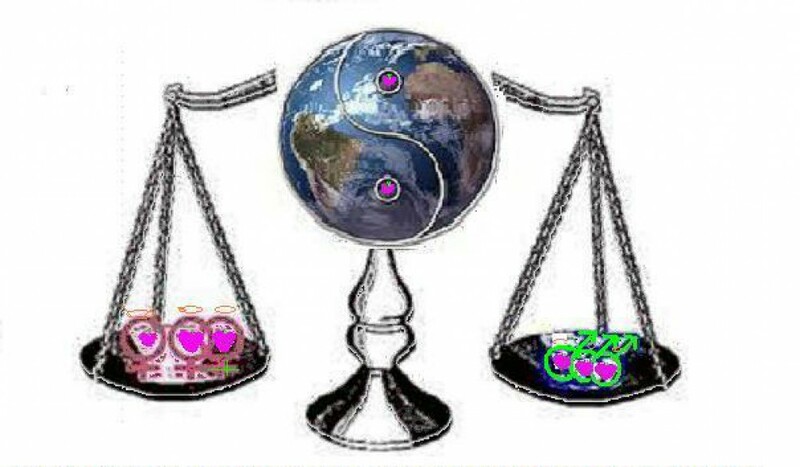 Virtual Continuum, and Those of the Highest Courts to Decide, with Justice and Mercy, Who Is (are) the Real Debtors, Who Is (are) the Real Creditors due Payment, in the eyes of the Humanity composed equally of Female and Male,and in the Eyes of Universal Infinite Love and Sustainable Life. Katherine Hepburn as Countess Aurelia), and Star Trek Episodes, including Encounter at Farpoint, True Q, and Other Episodes and quotations of other Earth as Universal Planet heroines that illustrate them. Including its Promising Yet Currently Poorly Informed and Coopted Women Employees and Affiliates, and the Profoundly Male-Dominated Geopolitical Political and Financial Community in the old paradigminded city called New York of an aging yet still youthfully renewable Planet Called Earth. Such as Everywomen, offer ourselves in our many roles, as Neighbors and Coworkers and Colleagues as well asMothers and Grandmothers, Daughters and Granddaughters, Sisters, Nieces, and Cousins of a Marvelous Gaia Hypothesis in Human Behavior as it links to the Future of the Planet Earth. kind cousins in time, who, with others, cobequeathed the resources in question today have bequeathed each of us to have both high expectations for fulfillment of potential, as well as profound passionate compassion, for all people on earth, female and male, young as well as old, of all regions and heritages on all continents, and those called, under current measures, the financially “poor”, the financially “rich”, and especially the financially “middle class” . Today, all people, of all levels of income and financial holdings on earth have been seduced and habituated to to support a money system that leads, inevitably, in fact, to a global war and environmental destruction system. War is literally caused by humanity’s current misunderstandings about wealth and money, particularly related to our valuation of women and all children, both female and male. Because women have been structurally and systemically both made comparatively poorer under the current illusion-based paradigms of decision, power and wealth, it became spiritually and religiously as well as materially logically clear to us that it would be unwise for each of us to simply voluntarily pay our Ma$tercard account bill as a legitimate bill. which, if it would not be too generous to speak of them as humans instead of Ferengi (the greed obsessed chauvinist race of Star Trek) also includes the financial community itself. economics, already widely available on the Internet that is certainly accessible to everyone who works at any bank as a collector or customer representative, would immediately produce small starter miracles, beyond our previous imaginations, for our Planet. “It’s A Wonderful Life” and it’s remake witn Margo Thomas as the main character and Cloris Leachman as the Angel in “It’s a Wonderful Christmas”. decision-making community and all its outmoded rotten apple paradigms of wealth. misunderstanding causes, both daily and eventually cumulatively to the Planet and its Natural balance. For extremity of natural disaster and escalations toward war are more likely to happen, when humanity repeatedly, daily, misvalues and misaccounts what is important, and especially, the value of women, their many kinds of work, their ideas, and their love for the young, the vulnerable, their planet, its ability to change, and to have and sustain peace and the environment, and all its people. we believed such a small yet significant complicit action, even at low levels of payment, with a war and global-warming-causing economic system, would have already BY NOW, have set off a devastating Earthquake or Tsunami, very possibly in North America and especially likely affecing the New York geopolitical financial community, because Mother Earth does not want women (or men) of conscience and Higher Consciousness to simply, routinely, like automatons, follow planeticidal corporate orders, and pretend that such bills, and the global wealth paradigms of Mammon accounting and decision-making system that they are part of, make sense anymore. With each pointless war or battle where the young, brave and woefully uninformed are sent for no good reason (and there is never a good reason for conflict resolvers and pacifists such as us to see one mother’s child resolve a conflict by killing another mother or parent’s child), to defend old men’s wealth and power that count bad decisions on energy as more important than women’s energies of love and nurturing; with each environmental catastrophe, Mother Earth~Father (never a Sexist) Time is crying out that we, that is all humanity, change our economic system from a scarcity-illusion war system to a peace and sustainable renewable prosperity for all system. It is time now to change the system to one that values women, youth and children (the future) as much as unnecessary hoarding systems made by (past and passing generations of) aging mostly men, and heeds women’s (and kinder men’s views, in contexts of balance) on how economics should work, so that all on earth, female and male, young and old, may truly live and love long and prosper continually and beyond our previous imaginations. our cases, but in those that will come next immediately after each of ours. the systemic financial practices and paradigms of Ma$tercard, and even its women-focussed affiliates, if it remains complicit and coopted in the unreformed accounting system used by corporationsand most male-dominations and international bodies, the New York Legal and Financial Geopolitical Community and its current system of accounting. Yet, this is still the daily system used by most male-made corporations and nation-states on an interconnected and now urgently endangered continuously interconnected earth that is shared by all earthlings as their one potential sharable homeland for happiness, health and harmony. We are aware that some special groups of people, members of minorities and/or ancient natives within regions, or even whole impoverished regions or nations themselves, are also additionally allegedly overindebted because they never received real payment for labor and for lands they had given, or perhaps more accurately stated, was taken, by force, from them. Some of these are also striving for reparation, and release from current debt. Some of these who may also being called before debtors courts for personal indebtness, while a collective debt owed to them and their ancestors remains taken for granted. So, they, too, may also experience a sense of sustainable victory — for their own unique instance as a pressing example of a change of good for themselves and ALL, ALL at Once, if new paradigms, which also count minority and native women (who often were stressed even by gender injustices within their groups) as well as men, for their unique stories, and for representative levels reasonably proportionate to all their presence, female as well as male, of all heritages, are applied, which insure that not only they, but all people on earth, majorities and minorities joined as earthlings in common higher love and value, need never know scarcity or exploitation again. reality that is beyond scarcity, abundant for all, and has literally made money outmoded because of the quantums leaps and breakthrought in technology and anthropological sociologies of work and productivity, that accompany such a Quantum Leap. a world fully rich and yet beyond the need for even the use of Money, which has become simply a shell game of illusion about resources and value, that keeps the decision-making of non-representative gender (and age-generational) imbalance overall, and egoistic elitism of a proportionately very few who have been coopted into it, even at the risk of their entire planet, in place. informed conscience, and even more than conscience, its informed consciousness, could become its own best jury, and sentence our world and institutions to change and life, with sustainability and quality for billions, for all people, instead of business as usual and death for an entire planet. AND of course, before an even Higher Court – Nature, which we believe ready to lower the boom on corporate business as usual old paradigms, that daily pretend so many who are especially owed not only amnesty but reparation (at least symbolically, via the change in paradigm to count women and their families and communities more fairly) are those who owe, if the corporations are not willing to admit the moral and ethical unsustainability of their accounting systems and representation of women in determining them. Why, do each one of us, as a female and Truer Q, like a Quan Yin, have Compassion Instead of Contempt of Most of the World’s Debtor Court(s? callously and mercilessly applied, on each family and community. Created in a past millennium, still too few courts offer a context of conflict resolution bodies of panels of co-peers that have the freedom, as peers, to dialogue about the wider context issues, and become a place for constructive community-friendly and accountable group consensus. So, most of us little people ought have a form of compassion for these lonely and either callous or coopted judges, especially because we would not want to be the judge whose decision inadvertently triggers significant destruction, via the human dimension of the Gaia effect, of the Planet Earth. through the coin-counting hands of Ma$tercard, the more you kill the planet. Therefore, in past weeks, many of us have limited ourselves to only the barest of conventional expenditure. We have been living on less than $20 week, and are trying to live well at that level, in women and children respecting, local and resource based contexts, so underlying paradigms of money can be exposed, retired, and transformed into something that will make everyone, even the CEOS, vastly richer, not only materially and sustainably, but spiritually. too late for complete Mercy (we hope not) for some at higher levels of Ma$tercard and those politicians who, while receiving large campaign contributions from Ma$tercard, make and influence the laws in which is operates. It is our true belief that these halls of power, and the natural wealth they have taken for granted and misused under these old paradigms, are now vulnerable to oceanic tsunami or the ash clouds of potential supervolcanoes that may well be triggered if humanity continues its current mistaken paradigms of wealth. It is these financial communities that must come to realize, now, that women, especially currently financially middle class and poorer women, who are too often called debtors, are often society’s biggest undcreditted creditors, owed a great deal of unpaid and underpaid credit, reward for endurance, heroism and compassion, by humanity, that they have not gotten, and for too long. But, perhaps it is not to late for anyone to learn and understand truer concepts of wealth, and Nature will give the world’s financial community’s major host city, New York’s financial community, and the endangered earth it depends on, anenvironmental reprieve. environmental future that is one of real and sustainable wealth. Here, given as quotation as well as website resources for your reading and consideration, are the Sections of Our both very Personal and Collective Defense of Each, Self and/with All, Alleged Debtors/ Our Prosecution Against Ma$tercard and the Paradigms of Its Activities that are Not Only Impoverishing Many Middle Class and Poorer Women and many less privileged people including many children and men as well, but More Importantly and Interconnectedly Simultaneously Threatening the Entire Earth.Again,each section is preceded by quotes from Giradoux’s Madwoman of Chaillot, StarTrek episodes, and the wisdom of some of Earth’s most enlightening citizens and human family members. precious child become an adult). So Women represented with men who want them their might be called Risen Eosters orE-usters, and why not also, Westers, Northers and Southers, all Stars in their sections of the Earth as they connect with the potential of humanity expanding in all directions throughout the Universe under new paradigms. That’s the thing about faith. If you don’t have it you can’t understand it. to use them beyond their usefulness for the planet, and daily endangers the planet. Virtual Trial is, then, a symbolic community meeting. And yes, it is we, as a Earth-Saving EmissarYES of a more Heavenly future, with the help of the Earth and Mother Nature/Father Time, that are putting Ma$tercard, and the New York and World financial community, and its legal including legislative community of law, on “Trial”, for a meeting of Win-Win Conflict Resolution, with Nature the ultimate arbiter, with mercy and compassion in my seemingly insignificant yet in fact quite synergistically empowered heart. participation with one of Ma$tercard charities that advertises it is to benefit women, for, under the current paradigm, such simply could not live up to a women-and-earth-respecting purpose. Exhibits D-H…through the WHole Alphabet!!!! and continued to ponder, what could We do that would not just make us simple pawns, blindly following bill paying corporate orders based in paradigmatic ignorance, that are endangering our HomePlanet Earth. are conducting it’s women focussed “charity” in, without holding the highest elites responsible toe change and within an outmoded and earth-endangering paradigm that denies everyone real wealth and sustainable future, We are, in essence, financial conscientious objectors, representative deserters of the bill paying army, which, while in the field, we came to realize was engaged in a a moral sin, what would be called a crime if representation was real,an exploitation, based in an absured and outmoded paradigm, particularly regarding the wealth and representation of the time and work women, that results in war and global warming, against women and children, and against humanity. (women)change along with them. Unless we do something, humanity is doomed! Exhibits H through M through the Whole Alphabet and Back Again…! Peaceful Space Contact. Or is it simply the last generation of life on Earth. http://www.empoweringlight.com/articles/shining-light.html – This inspirational wisdom of Marianne Williamson was made known worldwide when Nelson Mandela used it for his acceptance speech ending racial apartheid — it is now time to end the gender apartheid of our policial and economic understandings of the planet. graduate, that We became most inclined to not simply voluntarily pay our bills. they are collectively all our children. The burden, indeed, the illusion, of debt on these groups is inhumane, and whether We have our own biological children or not, We feel deeply unwilling to “contribute” to a system that is daily compromising those who most, even in the words of the Bible that enjoins us to protect widows (single women) and children, deserve uplift and amnesty from debt. privilege, guaranteed by the Constitution. suppressive of empowerment and representation of women and the non-wealthy, on earth. with the primal forces of nature, Mr. Beale, and I won’t have it! Is that clear? moment of Imbalance. Only by understanding the role of companies like Ma$tercards in causing this imbalance can we create and restore the long overdue and too long delayed balance needed, in time to save the Earth. Exhibits Z Through A and Back Again!!!! gender parity, with a range of 45 to 55% as acceptable in a democracy. throughout all decision-making and determination of priorities and values. generations of families have struggled under debt loads. support systems that support such CEOS and their sheik and royal investors!!!! full credit that was withheld from them for too long. Worldwide these arethose who are most often called debtors under the sick old system of hierarchy and paradigm that does not value love and future. And more important,if this case insures the credit owed to these, all women and children, is paid by a change in paradigm, and men who prize them, then everyone else will also become revalued, as all humanity must be the most valuable to each other, and we will all benefit, in a Quantum Leap, that makes all, and not just a few mostly male CEO’s, truly, instead of falsely, rich. We rest our cases, on this fact alone. More on Debt Good Faith and Credit Due: From Whom and Toward Whom? controlled media has failed to report in entirety about the importance of women in political economic decision-making with men who welcome them as partners, and their necessity to bring forth sustainability economics, though, even this alarmed public and middle class do not yet fully understand just how daily and cumulatively destructive current laws are, from the perspective of planetary balance and Nature. Females, as you would have them do unto You, in Kindness and Balance. lives, the amount owed to most women, middle class and poor women, by men and by elitist but also unrepresented women, who then coopted themselves to fit in with men’s values unwisely would be astronomical, it would be a number large enough to balance the planet, and protect each grain of earth beneath the Cumbre Vieje volcano that could cause a landslide that could bring a tsunami to America’s East Coast if forgotten, or, if remembered and credited, open the StarGate and usher in a quantum leap for humanity, able to discover the even settle the mountains of Mars as well as of Earth, in quality of life and scientific as well as compassionate understanding. shared executives, corporate and political, and scientific and religious. bloated coffers of corporate machievellian princes co-invested with shieks could bring the wearing away of female humanity that triggers that landslide that brings a tsunami to Mother Nature’s coastline upon which corporate communities and courts rest. Children of that One Love that is the infinite wealth of all, female and male. Charles Prince (yes, that is his Machiavellian-sounding real last name; to remind especially US citizens that like Prince Charles, such US CEOs represent a throwback to unelected royalty that alert citizenry must this time, not rebel against, but, with a better paradigm, help transform to democracy and wealth for all, female as well as male, younger as well as older, beyond nation, if it wants to achieve and preserve democracy, and the earth itself, for real. that do not include the love energy of women, are environmentally endangering all these cities, and all their children, of all ages,now. package? 22 Nobel prize winners 69 average university presidents; 57 U.S.
2075 A.D. A real President of the United States would have to work until 2063 A.D.
financial take-over of North America, and and whose wife sadly became best known for her addiction to alcohol and medications for depression instead of as a Coleader in actual gender shared office, as so many wives and children of such so-called men of power. So-called Power that is not guided in its decisions by the balancing power of women with men who want them there. devoted to women, have become little more than coopted and insufficiently present cogs in a grossly global corporate-sheik-male dominated system of confusion about what is real wealth. Is that, perhaps, the reason, that the good Paige Church(wo)man of the Working With Oneness Article cited herein may have left her Ma$tercard-offering Bankgroup? “Women’s Principles), Marilyn Waring and others, that can save the New York finanical and diplomatic community from its false concepts of wealth, and bring them far greater powers, including the ability to bring forth sustainable world peace. polite but uninformed customer service representative harem, that call, to claim they must have our, and the other unrepresented middle and lower class women’s and people’s on your dockets’ money. That would of course, make what less of the little remaining of our such shrinking middle, working and poor class yet middle path world protective Class M for middle or temperate Planet for all funds unavailable to most, funds that we would use to help people and try to save the Earth from extremes like Armageddon, Nuclear Winter, and Global Warming. and any corporation where the CEO earns more than 100 times the average worker, and while most women’s work at home and in community remains unaccounted for in the entire system. as well as it does the decisions of overprivileged men. with defenses such as this one. 50-50 to every Princess of Love, then all men can become Mr. Princes of Peace and Conscience everywhere, there will be peace and wealth of not just material but spiritual sharing of untold power on Earth and all the terraformable planets that, if we all become BetaTrueQ of Caring and Vulcan Logic instead of Ferengi greed, Klingon aggression and Romulan arrogance. This can still be in our everyouthful and temperate Raisan(an idyllic planet in Star TRek) Risen Future. What does a Machiavellian Prince’s Industry under that old paradigm of manipulation and deception Owe You? What does he Owe himself, as a potential Siddartha, this time fully remembering equally his mother and the aunts who raised him as well, and all their sisters and daughters, too, around the world now decision-making for a better world equally with him: able to renounce false wealth and take a Middle Path that assures that all, female and male, may be restored to and allowed to continue to enjoy never less than the Middle Class of a Class M for Middle Planet and together, by such mutual care, bring truer wealth to all instead of a falsely materially preoccupied elite that has lost connection with most people on Earth? What Mercy Does Nature Owe Him and other such currently Machiavellian instead of yet but potentially, like all people Peacemaking Prince finally recognizing that all women are Princesses when the Golden Rule of Love is applied? Doesn’t he too, and his children, deserve a planet he/they can live on? A City Not Destroyed by Tsunamis that his reliance on an old paradigm made by mostly one gender only, too long, could cause? temperate climate of a Class M for Middle and Miraculous for all loving one another planet, with those of the “upper” financial classes (under a false and unsustainable old paradigm) becoming wise enough to wake up and change their paradigms of wealth via selfish egoism and power before Nature’s tsunamis or hurricanes make it too late for their offices of Lauding of Financial Midas’Fools’ Cold Gold instead of the Loving the Golden Rule. Grand Nagus Zek and the similar episode “Profit and Lace”, the laws and society of the Ferengi were extremely harsh towards its women. Female Ferengi were forbidden to make profit, wear clothes, talk to strangers, or travel without the permission of the eldest male of the family. Ferengi women traditionally softened food for members of their family by chewing it, and selling one’s mother for gold-pressed the principal form of legal tender, is an act that would be looked on with admiration in Ferengi society. As the links above show, a similar society has today invested billions in New York’s and US finances, under the old oily paradigm. They influenced media and editors to keep the need for change from public knowledge. Was this wise, even for such men of the very old ways? And yet, do they not also have many young Q women among their daughters and wives, and brothers and husbands ready and eager to recognize such women and all women as full partners in making a sustainable and fertile instead of dying and desertified Planet. Would any of the following help prevent the Earth endangering Ferengification of the human business executive, the drone-like haremification of their workforce, and their unwitting systemic necessitation of a Romulan or Klingonlike war machine, by holding onto paradigms that cannot sustain any living planet, including its financial headquarters? even in their worlds, there are Aurelleyahyah TrueQs, females heart of Golden Heart and Truth as well as Emotional, Intellectual and Spiritual intelligence, who can convince even a Ferengi (or Romulan or Klingon) that their women have great and fully equal value because they are so critical to the Power of Conscience and Love on any long viable Planet.. Things are only impossible until they’re not. everypersons, that had heretofore never imagined ALL had the True Q Power to bring about — until now, with this birth, and infinitely sustainable life, of a new paradigm for this Class for Miracles Planet! (with, the help of the Loving,Living NatureGod, the Highest Court of All. Compassionate Q of the Q Continuum Aurelliyahyah through AlphWith~Beta Through M and Q and SZet~Planets and People of All Names ~A through Z~ and back again, All of Highest Q, Emotional, Intellectual and Spiritual Quotient, a Sustainable Paradigm of Material Quantity with Love for Spiritual Quality, and Each One/Some of Earth’s First EmmissiarYES of Universall Millennia for a mature and RaisaRiszen Humanity.